Our refurbished premises at Schloss Kartzow provide you with a stylish private setting for a party, quality time or a relaxed weekend. Exquisite cuisine lies at the heart of our establishment. Our head chef to recommend exclusive creations enhanced with herbs from the palace gardens and complemented by stylish service. Allow our sommelier, Michael Fischer, to introduce and entice you into the world of wine. Enjoy speciality German and international wines in our marvellous ambiance! We would like to invite you to visit our restaurant to enjoy a small selection of what we offer. We will create your menu in-house and make sure that you have a pleasant evening in our restaurant or on our terrace (by reservation only). A historical ambiance and modern comforts work in harmony at the hotel to provide a relaxing finale to a nice day. Our nine double rooms, two junior suites and our suite are furnished in warm colours and individually designed to be modern and stylish. Our establishment has been awarded 4-star status as well as the Brandenburger Gastlichkeit quality label. Our SPA zone lets you escape from your busy routine and enjoy an oasis of calm in a pleasant and relaxed atmosphere. Our hotel guests are welcome to use the SPA zone after 17.00 by prior arrangement. A fitness room with high-quality Technogym equipment is available to our guests during their leisure time. Book online and get the best room rate. We look forward to you! Our arrangements – individually put together for you. For good times together, a break for two or just to experience a little piece of luck. Hervorragendes P/L. Ruhige Lage westlich von Berlin. Sehr freundliches Personal und sehr umfangreiches Frühstücksangebot! – Alles bestens. Ich mag den Flair von Schloßhotels, somit habe ich mich hier sehr wohl gefühlt. Das Haus hat einen tollen Charme und ist ruhig gelegen. Hier stimmt einfach alles. Nettes Personal, tolle Zimmer, super Badezimmer, Servicebereitschaft, W-Lan-Geschwindigkeit. Absolute Ruhe. Mein neues Stammhotel in der Umgebung von Berlin-Potsdam. Mit wunderschöner Laufstrecke direkt ab Hotel auf den alten Truppenübungsplatz – besser geht’s nicht. Vielen Dank für den freundlichen Empfang und den tollen Service. Es hat einen sehr bleibenden Eindruck hinterlassen vom Empfang im Haus bis zur Abreise!!! 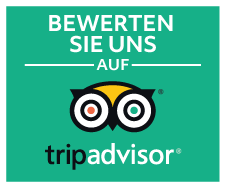 Top und nochmals vielen Dank an das Team! Abendessen 70 € pro Person ist angemessen und mir Wert. Prima Internet mit freien Ports für VPN. I agree that the provided data may be used in order to respond to my request. All data will be deleted after the request has been processed. You can always revoke your acquiescence. Just write an E-Mail to the following address: info@schloss-kartzow.de. A detailed overwiew of our usage of customer data can be found in our privacy statement. A copy of this message will be send to your E-Mail address. From Potsdam HBF (main railway station) by bus line 609 (Fahrplan (timetable) > Stadtwerke Potsdam). Alternatively, you can take the train as far as Priort or Satzkorn station. You can reach us by taking a taxi from here. Please book a taxi in advance. Schloss Kartzow is located in the middle of the Döberitzer Heide. This nature reserve is located west of Berlin and in a northerly direction very close to Potsdam. The first mention of Kartzow dates back to 1375. Only much later – in 1850 – Carl Wolf Stilow has the manor house of the manor Kartzow converted into a “figure-decorated castle”. In a major fire, the manor house is severely damaged and almost all the buildings in the village, including the stables of the manor are destroyed. The manor is sold in 1900 to the Berlin spirits manufacturer Arthur Gilka. 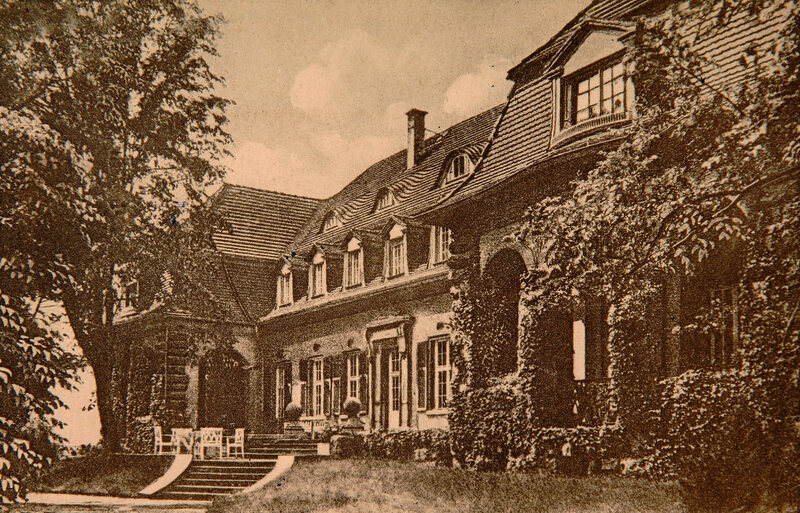 Gilka rebuilds the damaged manor house from 1912 – 1914 according to the plans of Eugen G. Schmohl. It served as a country house with 66 rooms. After the death of Arthur Gilka (1937), the former garden director of Sanssouci, Georg Potente, transformed the Gutspark into a landscaped park. It comes to ownership changes until the manor house in 1941 is acquired by the imperial ficus. The Wehrmacht takes over the estate in connection with the expansion of the military training area “Döberitzer Heide”. After the end of the Second World War in 1947, the demolition of the manor house ordered by the Red Army was only prevented by numerous displaced persons using the building as living space. In 1949, a children’s welfare home of the people’s solidarity is established in the manor house. In further use, a nephro-urological pediatric clinic will be established in 1974 in the manor house, which will gain rapid recognition due to its successful activity. In 1992, the Children’s Clinic was taken over by the Allgemeine Krankenhausgesellschaft (AHG) Saarbrücken, with the assurance that it would build an extension on the site in Kartzow. But that does not happen anymore. The country house is sold in 1997, but the new owner does not meet his obligations and from 1998 – 2004 the “Schloss Kartzow” is empty. In 2006, the Sonntag family acquired the castle from the state of Brandenburg and began to renovate the manor house. On the 2nd of June 2007 the first wedding party takes place in the “Schloss Kartzow”. From November 2009 to April 2010, the renovation and expansion of the lower floor and the first floor will take place in a second step. The kitchen and storage rooms are newly created in the basement. On the first floor nine double rooms, two junior suites, a suite, as well as a barber and cosmetics area will be built. The official opening of the Schlosshotel Schloss Kartzow will take place in April 2010. The award of the Schlosshotel as a 4-star hotel by DeHoGa will follow in January 2012. In November 2014, the opening of the wellness area in the basement of the manor house will complete the renovation and conversion phase. Since the opening and the first wedding in 2007, Schloss Kartzow has made a name for itself regionally and internationally as a conference venue, as a wedding location and as a hotel. This success is supported by the exquisite cuisine, which at the heart of the hotel inspires guests with exclusive creations – and is complemented by the stylish service. In order to surprise and delight the regulars with the “special”, the furnishings of the house and the rooms and suites are changed regularly. Another unique feature is the Betterspace iQ Tabs: More than a comfortable digital guest folder. 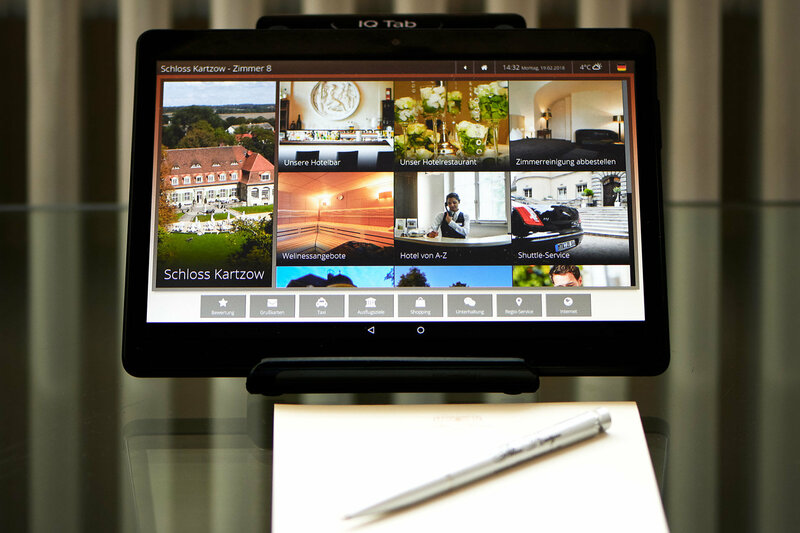 In all double rooms and suites, guests can use the Betterspace iQ tabs as a free service. The tablet PCs are easy to use and offer a high added value. So one can inform oneself about offers and the service and – thanks to the integrated menu – comfortably about the restaurant. Another advantage: The iQ tabs make it easy to surf the web or read magazines.